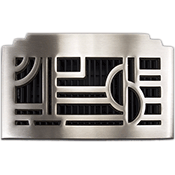 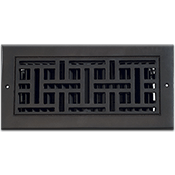 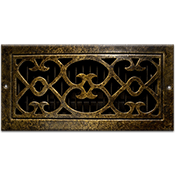 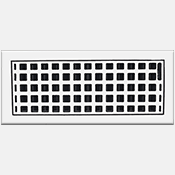 Classic Grilles are US made and the faceplate is made with a sand cast of 1/4" thick. 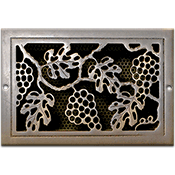 They come in a variety of gorgeous designs and finishes. 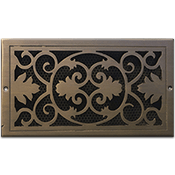 Finishes that are available are bronze ( Light oil rubbed bronze, antique burnished bronze, and Dark Oil Rubbed Bronze), Aluminum (Bare aluminum, painted white, painted bronze and painted black), and White Bronze. 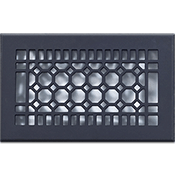 These Classic Grilles can be used on Walls, Ceilings and Floors.